Hi everyone, I am participating in the Designer Crafts Connection blog hop. This month we are working with Expo International, a wonderful site for trims and appliques. I received Beline Lace Feather Fringe, 4" Glitter Chainette Fringe and rose patches. I had this fun little pouch and wanted to alter it with these trims. 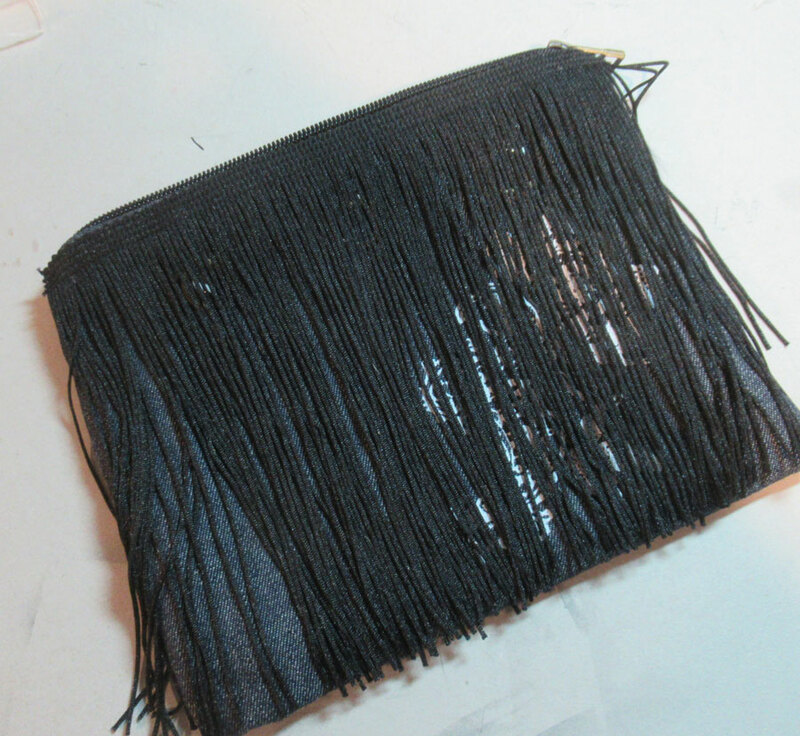 Using the 4" Glitter Chainette Fringe, I glued it to the edge of the pouch. Then, I glued the Beline Lace Feather Fringe on top. Sassy!!! Next, I created a fun barrette by covering it with 2 strips of Beline Lace Feather Fringe. Lining up the holes, I tied them together with pieces from the 4" Glitter Chainette Fringe. 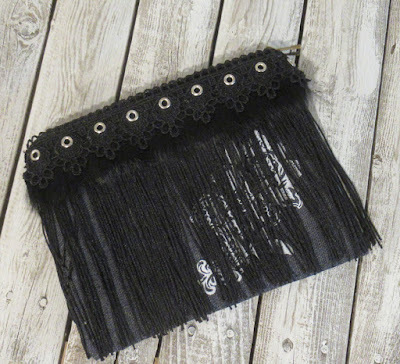 Adding beads to the fringe created a fun effect. What young lady wouldn't have fun with these items? You can find links for all the designers creations at the Designer Crafts Connection blog. Be sure to leave comments along the way for your chance to win a Treasure Box Giveaway from Expo International. What a transformation - beautiful! I need this bag! Great job! Definitely a fun project Candy. great job, nice make over on that bag. Love that you added even beads to the bag!! 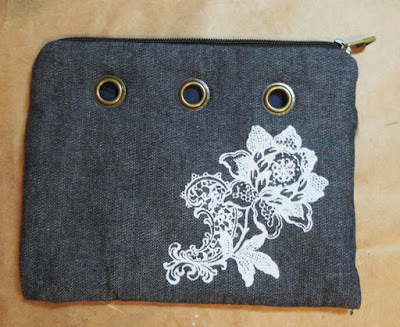 Gorgeous idea and a great way to customize it! What a great project! Love the fringe trim!! How cool is that! Great projects! Such FUN trim! Love your project! WOW!!! you don't know how much I love fringe. on my clothes, on doll dresses, on journal pages........ lamp shades, curtains....... don't stop me, I'm on a fringe roll!